Nick Tittle grew up in Washington DC and attended the University of South Carolina where he received a bachelors degree in small business management and entrepreneurship. After school Nick traveled the world visiting farms and gaining valuable insight into indigenous agricultural practices before heading to South East Asia. He spent three years managing volunteers, interns and apprentices at the Panya Project Permaculture and Earthen Building Education Center. 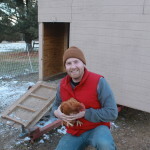 Nick specializes in consulting and teaching about a variety of subjects including natural building, organic gardening, forest gardening, soil food web technology, animal husbandry and alternative economic systems. Nick received his Teacher Training certification from John Champaign in 2010 and has consulted in Thailand, China, India, and the USA. He was a featured speaker at the 1st South East Asia Permaculture Convergence, presenting about rehabilitating a monoculture orchard into a perennial polyculture food forest. 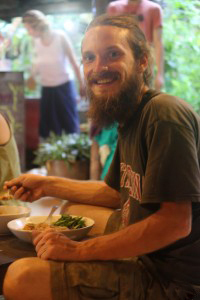 Nick additionally organized and facilitated the 1st Thailand Permaculture Convergence in 2013. Nick is currently based in Charleston, South Carolina where he is the farm cordinator for Fresh Future Farm as well as working on setting up an Urban Permaculture Education Center. In 2015 Nick will be teaching the first two Permaculture Design Certificate workshops ever to be held in the state of South Carolina. As managing director of the Panya Project, Christian Shearer has worked extensively in tropical climates with earthen construction, ecological agriculture, and the regeneration of degraded land. Christian lives part-time in northern Thailand, and is available for design as well as on-the-ground implementation management & education. Christian also sits on the advisory board for WeForest, a foundation focused on reforesting 20 million square km in the next ten years to help stave off climate change. One of Christian’s areas of expertise is creative resource management, connecting the “waste” products from one industry to the inputs of another for optimal eco-social profitability. 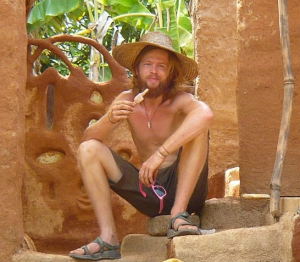 Christian is currently building an Earthship for his family and has been recently focused on Permaculture Design education. He has recently opened an education center in Teton Valley, Idaho, and has taught a number of courses internationally, including in Thailand, Nicaragua, India, Malaysia, Taiwan and the United States. Geoffroy Godeau is from Belgium where he graduated in landscape architecture. 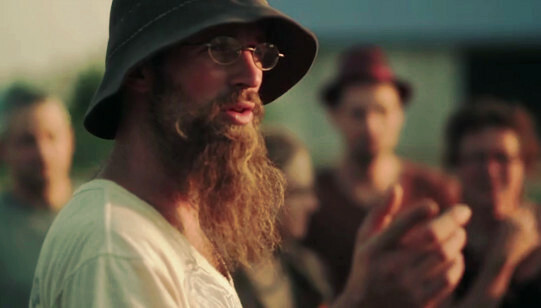 He discovered permaculture in Nicaragua, while traveling the world. He has been living on and off at the Panya Project for the last five years, learning and teaching mainly about natural building. 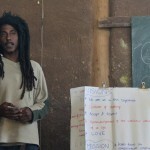 He has been working and teaching on natural building projects in Belgium as well, and investigating and practicing permaculture techniques in landscaping projects. He is also part of “brin de paille” the French speaking permaculture network in Europe. Gregory Crawford has a decade of work experience on small-scale, organic, community-supported farms in Washington State. A six-month apprenticeship at Pun Pun—a sustainable living center in Northern Thailand—sparked a passion of natural house design & productive architecture, leading Gregory to design & build over seven natural homes to date. It was during this apprenticeship that he became involved in the Panya Project, which was in its formative first year; collectively, Gregory has spent over two years at the Panya Project, facilitating courses & managing the natural buildings. Creating his own course-curriculum through an entirely self-directed education at the Evergreen State College led Gregory to study sustainable urban planning, unconventional methods of homesteading, innovative material reuse, & creative writing across Europe, Thailand, Brazil, Mexico, and the United States. His learning experience is embodied in his self-published, self-produced novel—Fall Apart Park—about the radical re-purposing of a broken, modern city. Gregory is currently transforming a neglected & abandoned 3,700 sq ft home in Detroit, Michigan into an urban permaculture resource center called Win/win Reactor. Win/win hosts workshops & courses focused on permaculture’s value within the city, replicable appropriate technologies, food production/preservation, ethically-aligned livelihood, personal & community empowerment, & much more. Adam Dusen is the founder and director of Hundred Fruit Farm, a 10-acre permaculture farm in Southeastern Pennsylvania. Adam has a master’s degree in sustainable development from Linkoping University and is a permaculture designer, educator, organic farmer, aquaponics consultant, and organic farm inspector. Adam has been involved in sustainable agriculture for over a decade in a wide variety of ecosystems around the world, initially apprenticing on a small diversified organic farm in Pennsylvania for several seasons, helping manage the Panya Project in Thailand over a period of several years, working as a permaculture farm manager at the Center for Sustainable Development in The Bahamas, and most recently returning to the U.S. to start Hundred Fruit Farm in 2015. 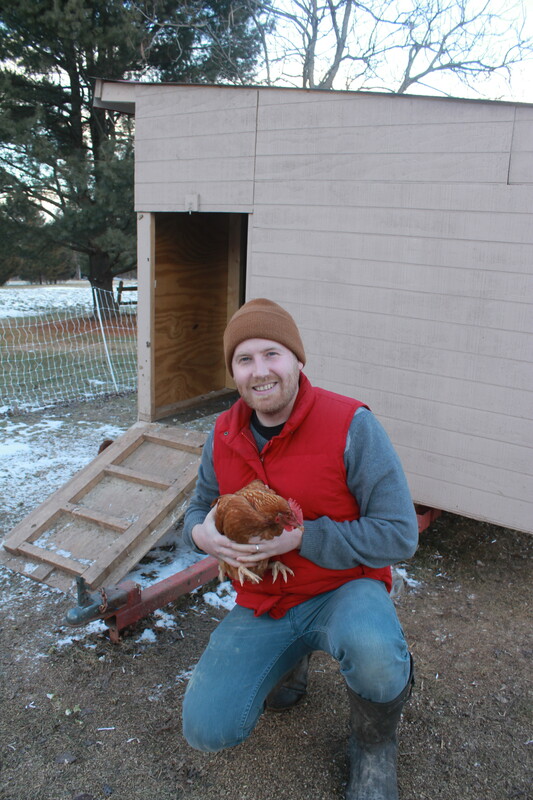 Adam’s primary focus is on productive and economically resilient permaculture and aquaponic systems. In The Bahamas, he managed a 40,000 liter commercial aquaponics system and has designed and helped design and install a commercial aquaponics system in Iran. At Hundred Fruit Farm, Adam is working on establishing the premier center of fruit diversity in the mid-Atlantic, growing over 100 different kinds of fruit and developing a multi-species orchard, food forest, and permaculture nursery. For more information about Adam, you can find a more detailed bio here. Lola Byron is originally from Birmingham England. She has been a thriving Permaculturist and natural builder since completing her PDC in 2010. Following this she was an active urban Permaculturist designing and implementing a variety of community gardens and leading natural building and gardening workshops in and around the city of Bristol, England. With a background in studying and teaching Fine Art and Sculpture she loves to apply these artistic skills to create beautiful buildings from earth, specialising in adobe, cob and earthbags. Having now completed 6 house builds, project managing 4 of these, she is always excited to pass on her knowledge and inspire and empower others to re-connect with the earth, make positive changes and become more self-reliant. 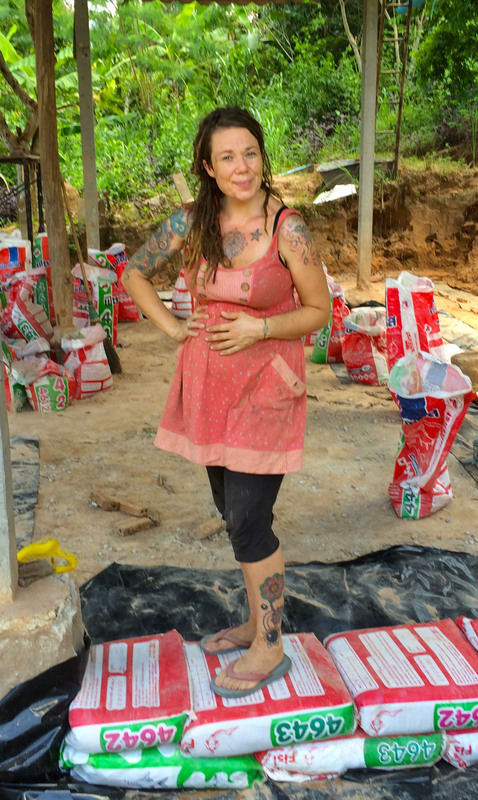 Lola has been the natural building manager at Panya Project since 2013, teaching numerous PDC’s, hands-on Permaculture and Natural Building Courses. Lola is available for Permaculture and natural building consultations and ground level implementation and management. Kyle Smith is originally from Swaziland, Africa. In 2005 Kyle practiced horticulture and community living on a kibbutz in Israel where he was inspired to pursue a career in horticulture. 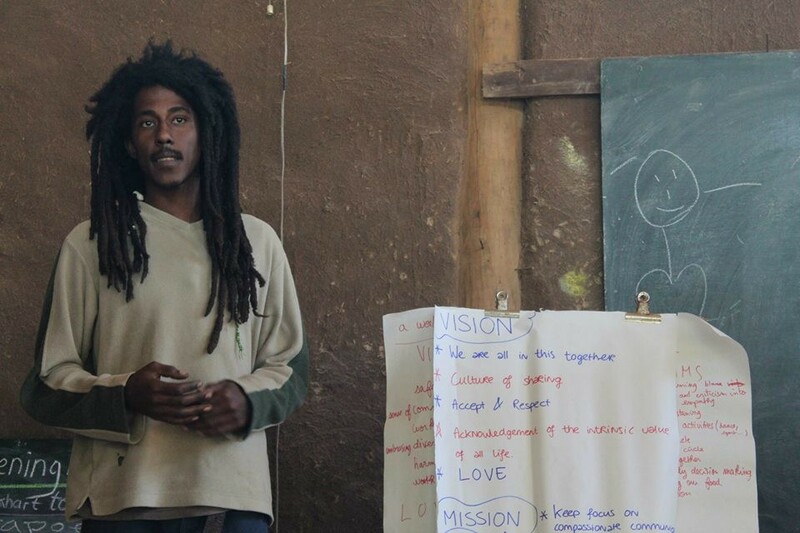 During his studies he completed an internship at Soil for Life, a Cape Town based non-profit organization teaching people how to build the soil and grow healthy plants using organic and low-cost methods. After completing his studies in horticulture he worked at Kirstenbosch Botanical gardens in Cape Town, South Africa. His main focuses were conserving indigenous plant species, rehabilitating degraded ecosystems, designing and establishing education gardens on the grounds of the botanic garden. During this time at the botanical gardens he realized the importance of conserving natural ecosystem while providing basic human needs, this interest and learning pathway lead him to the Panya Project Permaculture Education Centre in Northern Thailand. 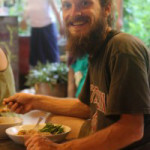 Kyle is currently the perennial plant manger and a long-term community member at the Panya where he has been facilitating Permaculture design courses, organic gardening and natural building workshops; additionally he has been supervising volunteers, and interns developing and maintaining systems at Panya. Kyle is passionate about conserving soil ecosystems, plant propagation and small-scale ecological agriculture. He is working towards empowering people to grow their own food, become more self reliant, and regenerate degraded ecosystem by consulting, designing,on-site implementation and teaching. Surplus is a designer’s collective that cooperates with The Panya Project, permaculture education center, in Thailand. If your project requires the support of many passionate, enthusiastic and inspired people to help you implement, we can reach out to all of our graduates, volunteers and friends. Due to so many years of teaching permaculture and implementing projects all over the world, we have an active network of over 1000 people that are ready to push your project forward and give it the support it needs!